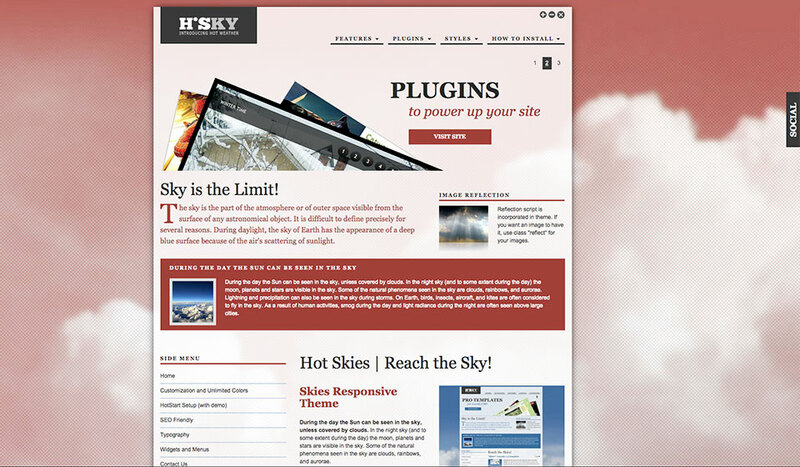 Hot Skies is a WordPress Bootstrap Theme compatible with Live Customizer. This theme comes in 8 color variants with different backgrounds. You can pick an appropriate color scheme from the theme parameters. You are not limited just to our pre-defined schemes. You can also input your own color, in example to match it with your company logo. 6 background images are available with 6 color variations. The background can be a solid color as well. All background images will perfectly fit on the screen, no matter what screen resolution site visitor has. 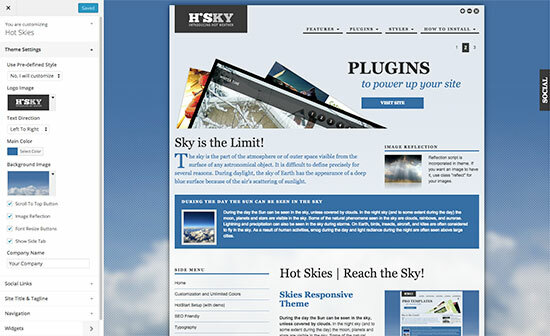 Several premium responsive plugins are included with the Hot Skies – WordPress BootStrap theme. Hot Film Tape responsive plugin can be used to create a slideshows with images and text. 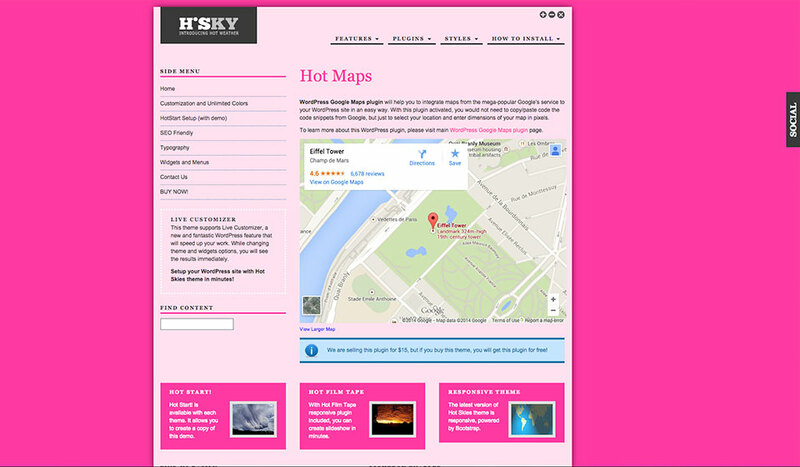 Hot Maps plugin can be used for showing any address from Google Maps in your site as a widget. Hot Photo Gallery plugin automatically makes thumbnail images and save them in /thumbs subfolder of your folder with images. You can use it to create pages or posts with image galleries. There are also several more plugins included. 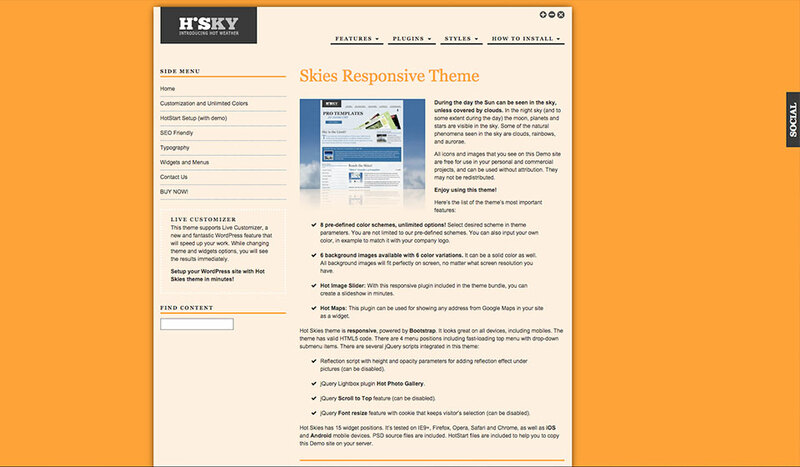 The Hot Skies theme is responsive, powered by Twitter Bootstrap. HotStart is available in this theme. It allows you to create a pixel-perfect copy of our demo on your server. The PSD source file and fonts are included. Support for RTL (right-to-left) languages and .po files for translations are included. 15 widget positions are available for your widgets and there are also 4 locations for WordPress menus (responsive top menu with drop-downs, left and right side menus and footer menu). 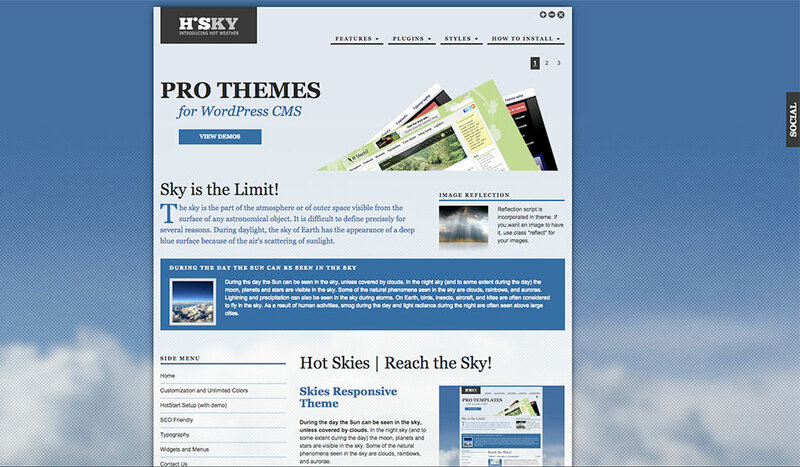 Sky WordPress theme code is based on a clean and valid HTML5 (support for elements such as header, footer, nav, etc.) and CSS3 code. There are also support for Font Awesome icons. 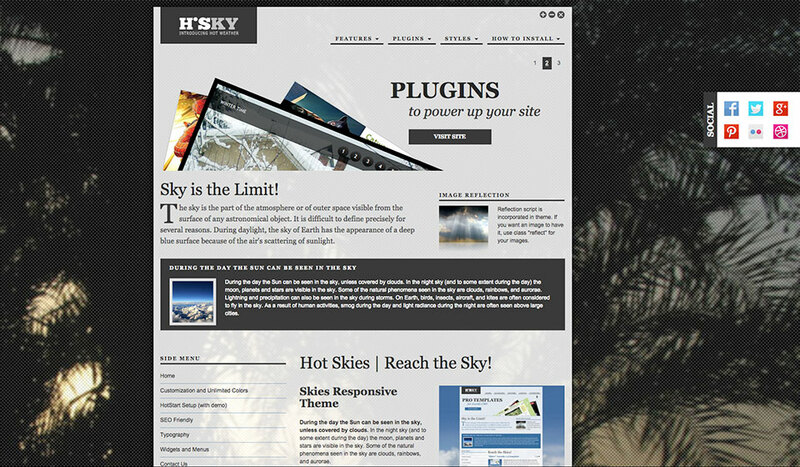 This WordPress Bootstrap theme and all accompanying plugins support the Live Customizer. 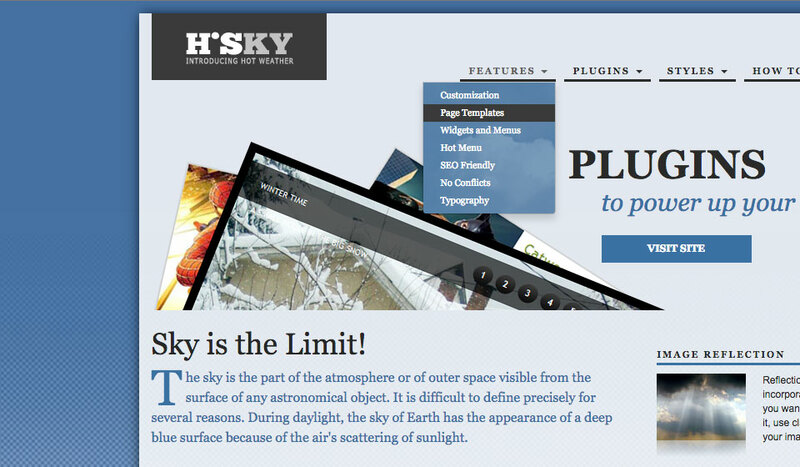 This is a new and outstanding WordPress feature that will speed up your work. While changing the theme’s and widgets’ options, you will see the results immediately. 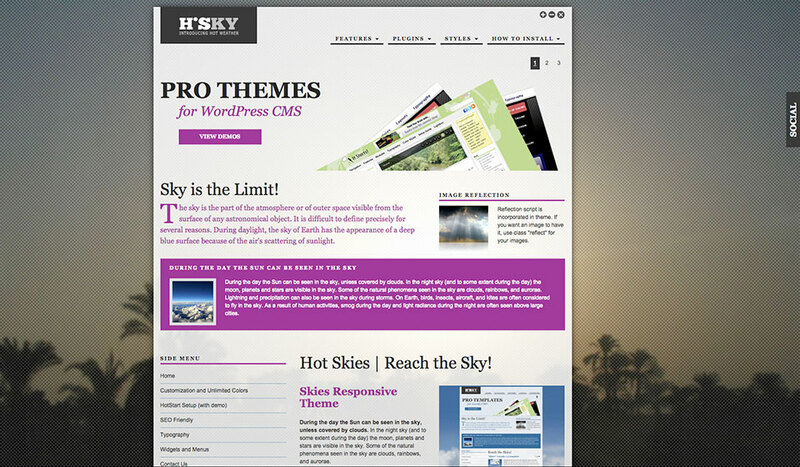 Setup your WordPress site with Hot Skies theme in minutes! 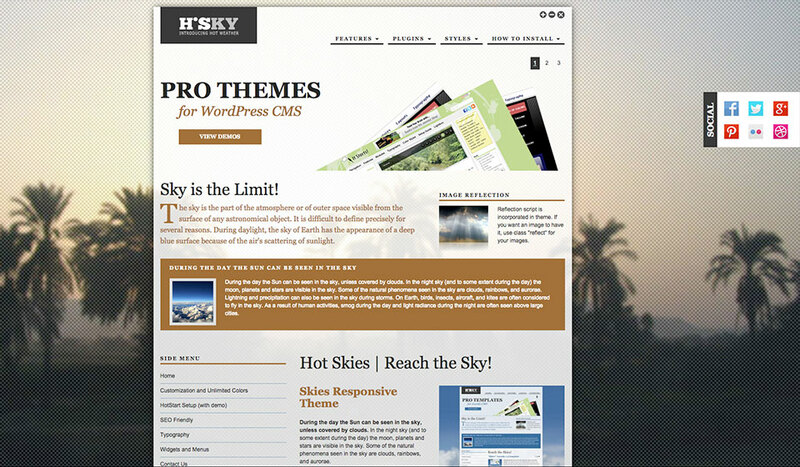 WordPress Bootstrap theme Hot Skies has been tested with IE9+, Firefox, Chrome, Safari and Opera browsers on both PC and Mac computers. 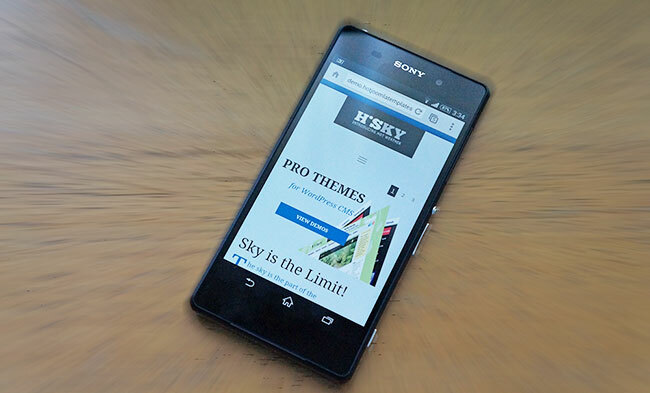 This theme is also tested on several iOS and Android mobile devices. 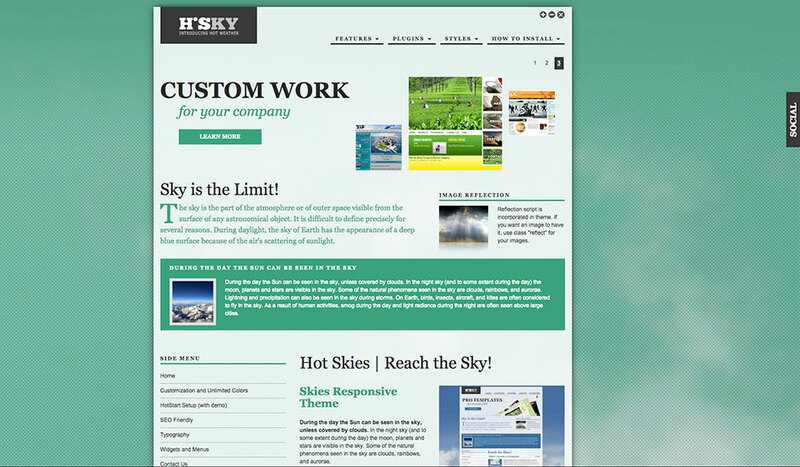 Hot Skies is a responsive WordPress theme that’s fully compatible with Bootstrap framework. This means it will look good and optimized on all desktops, notebooks, and mobile devices (tablets and smartphones)!